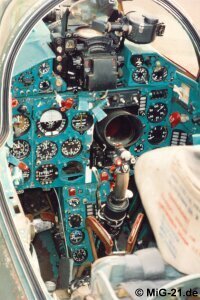 Despite its lesser complexity compared to today's combat aircraft the fuselage of a MiG-21 is completely filled with devices of different kind. 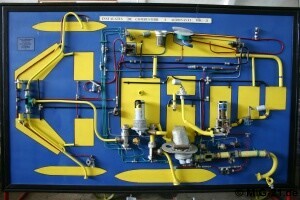 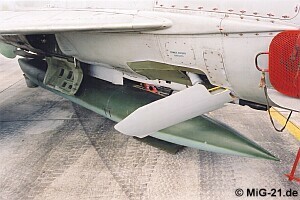 Beside this several components can be carried on wing and fuselage hard points. 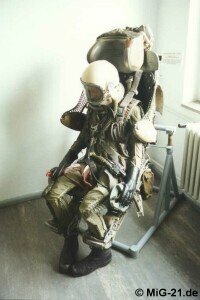 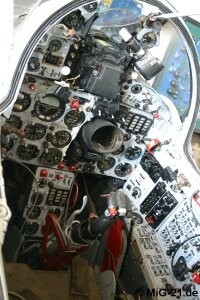 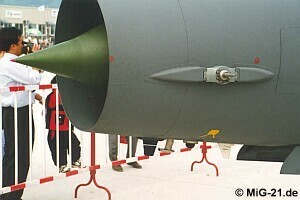 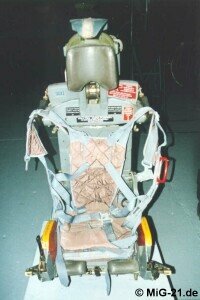 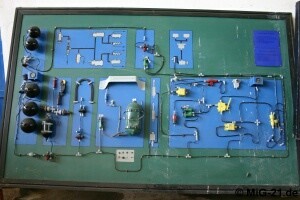 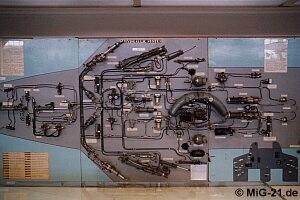 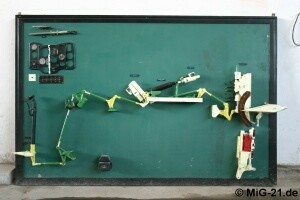 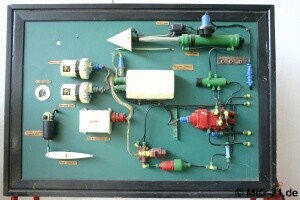 ... intake cone control system of the MiG-21. 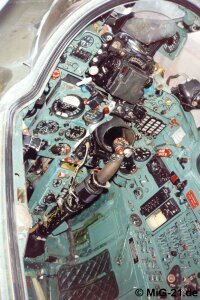 Always a weak point of the MiG-21: the radar. 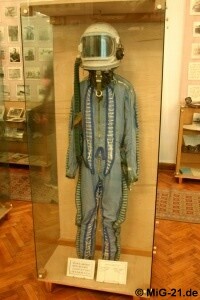 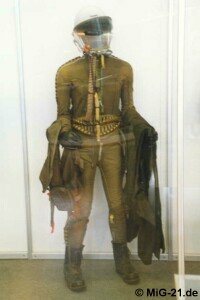 ... in the older ones this model was worn. 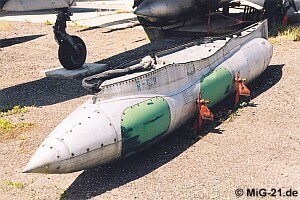 The 800l drop tank was seldom used. 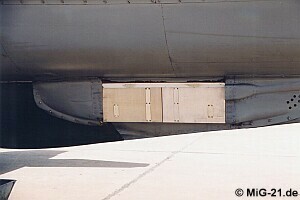 The SM jamming pod with system SPS-141 is carried by MF-75 and bis LAZUR on the central hard point. 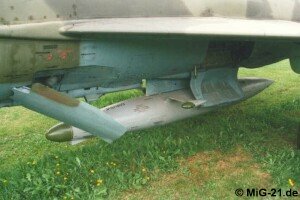 These wing-tip fairings of the MiG-21R contain additional antennas. 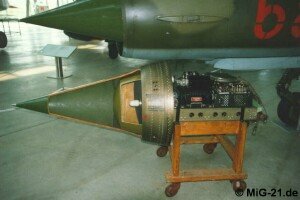 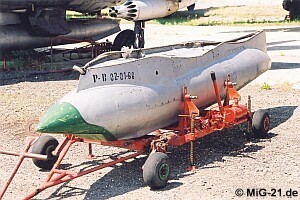 ... and photo pod type D could be fitted to the MiG-21R only. 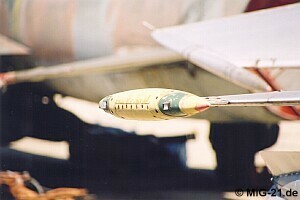 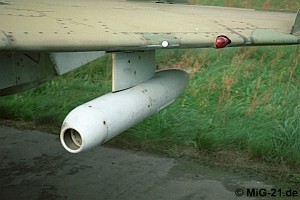 S-13 gun camera fitted to the wing of a MiG-21U. 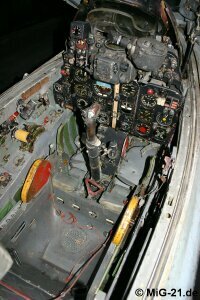 The cockpit equipment of the F-7A is almost similar to that of the MiG-21F-13. 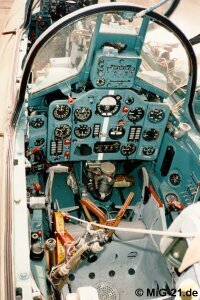 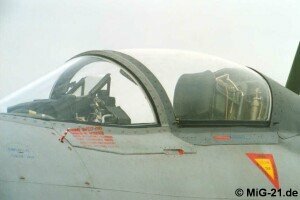 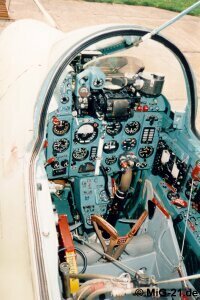 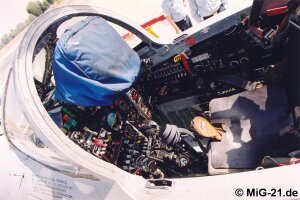 In the cockpit of the F-7P beside classic instruments can be found a head-up display (covered) and a Martin Baker ejection seat. 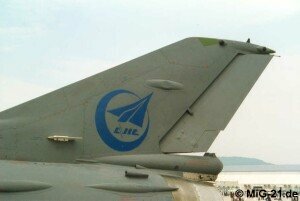 ... as well as the braking chute container and antennas on the fin. 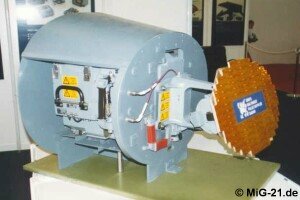 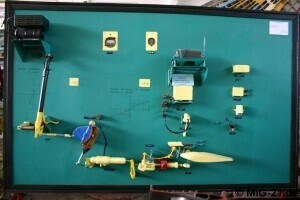 Due to be built in the export aircraft: Grifo radar made by FIAR (Italy). 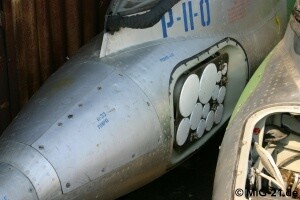 F-7P are equipped with chaff and flare dispensers beside the ventral fin.